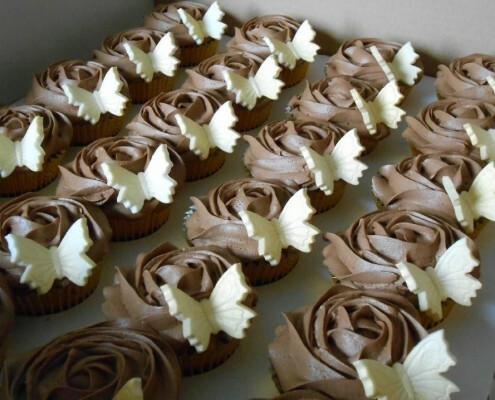 If you’re planning your big day Cup & Cake Bakery are able to offer an alternative to the traditional wedding cake and can help make your special day unique with our beautiful range of wedding cupcakes. 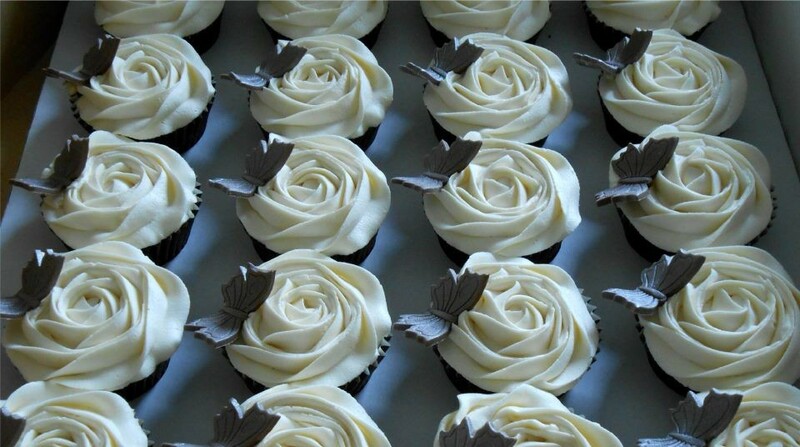 Each of our cupcakes are handmade with love and that’s what makes them perfect for your big day. We understand how much you already have to organize and that’s why we’re here to help ease the stress! Our cupcake specialists have a great deal of experience and are always happy to help answer any questions or queries you may have. 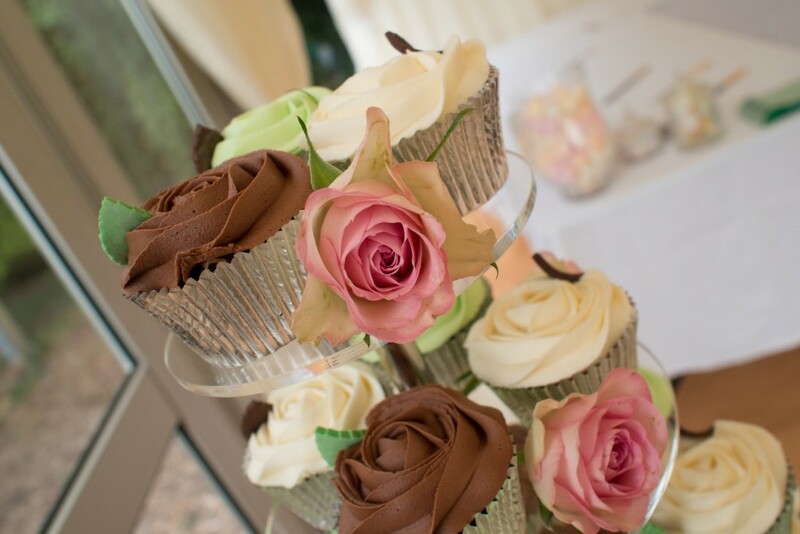 You can either choose from one of our most popular combinations or you can customise your own selection of flavours, colours schemes and decorations so that your cakes will be the perfect centrepiece to your big day. 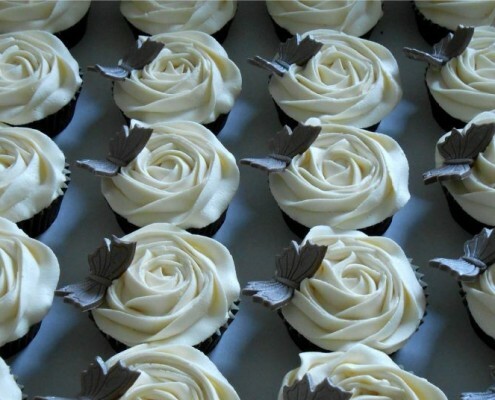 At Cup & Cake Bakery the only thing we love more than a good wedding is a good wedding cupcake!! 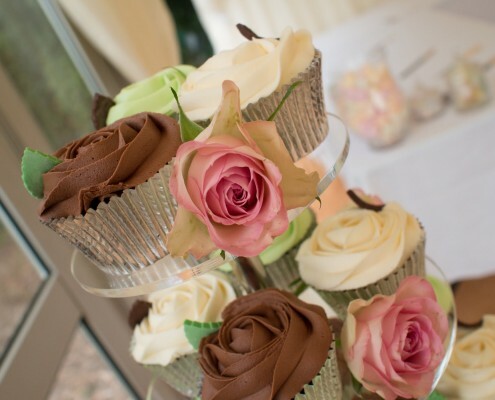 Our range of cupcakes are perfect for weddings and we also hold the largest range of cupcake stands for hire. 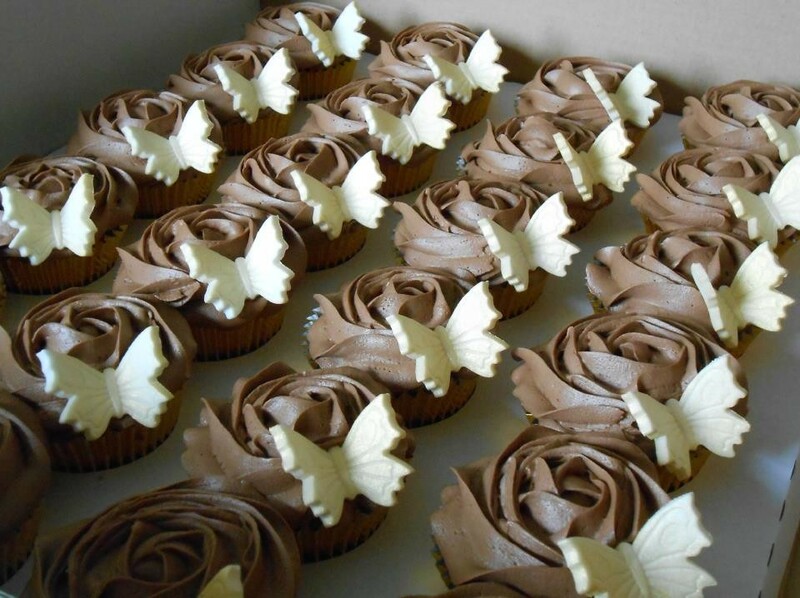 Our wedding cupcake range is priced in exactly the same way as our regular cupcakes if not lower and we don’t charge any additional fees just because you’re getting married. Chocolate and white icing with a combination or roses, white chocolate curls, silver balls, chocolate curl snowballs and chocolate flakes. Light pink & white icing with a mixture of white and pink roses, chocolate curls, silver balls and pink and red hearts. Dark pink, white and chocolate icing with silver balls, white roses, chocolate flakes and chocolate curl snowballs. Purple, white and chocolate icing with a combination of white and purple roses, silver balls and chocolate curls. Red, white and chocolate icing with a mixture of white and red roses, red and white hearts, silver balls and chocolate curls. Chocolate, pink and white icing with white and pink roses, chocolate curls and silver balls. Icing colours – White, Dark Purple, Lilac, Chocolate, Dark Pink, Light Pink, Pale Blue, Sky Blue and Red.